The Spelling Bee bug has caught on at Upton Junior School in Broadstairs. Pupils from Years 3 to 6 lined up for the first competition of 2019, after choosing their classroom champions in recent weeks. The finalists were quizzed by organiser Gemma Scarr who invited them to spell a selection of high graded words from the school’s literacy learning curriculum. 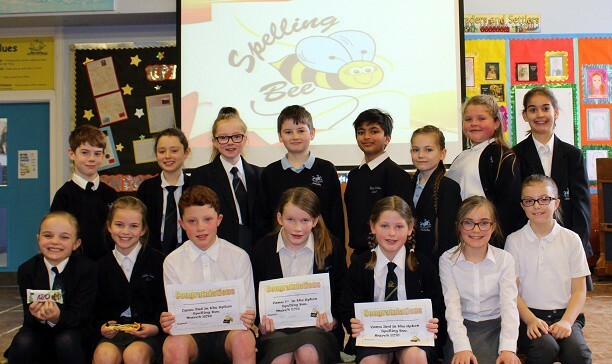 The knock-out format saw pupils leave the process if they got a word wrong, but the high standard meant the event in front of the whole school and families demonstrated just how buzzing the Upton spelling bees are. Eventually the contest was whittled down to a final three who grappled with tricky spellings that catch many people out including committee, embarrassed, camouflage, necessary, disastrous, cemetery, and interrupt. Finally Year 6 pupil Nia triumphed, with James, also from Year 6 in second spot, and Poppy from Year 4, third. Head of School Darci Arthur said: “All of our competitors in the class heats and our finalists have performed exceptionally well. “It is not easy to remember tricky spellings when you are on the spot speaking into a microphone with a packed assembly hall watching on. Some of our competitors were disappointed to be knocked out and this shows just how determined they are and how much they care. There will be another Spelling Bee at Upton in the summer term. 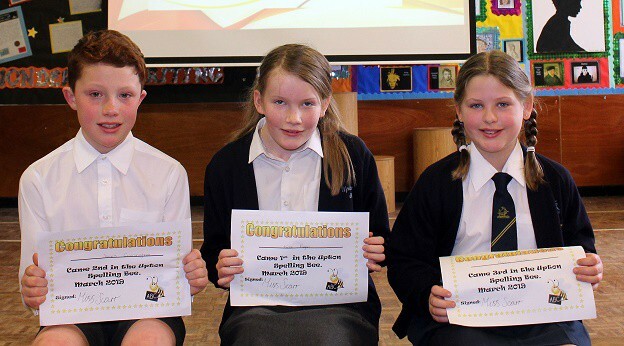 Upton launched its spelling competition this school year with the first competition in December.